To make electricity for rural and villages people by using solar panel. Sun power Company will try to provide in north area. Our target is reducing load shedding of country. By our report we want to show its benefit. Supply electricity to the remote villagers. Reduce the load shedding problem. Provide proper electricity all over the country. In report this we are working in north zone of country. We worked in Rangpur with the people of rural area. There is limited only Rangpur district. Every work when started that to face some limitations. Works cannot be imagined without likewise our report has some limitation. We are not an exception. There are also round limitation in our report. We couldn’t reduce much because this is a newly introduced concept in Bangladesh. There’s why we are not able to collect much information related to this. Moreover we are inexperienced in preparing this kind of reports. So it is material making some mistake is this report. We apologize for this. The present this report we were facing some problems. Because of we are not experienced in side as results we are not present all the related data. The problems of history are lack of information, electricity problem, and transportation problem and so on. In order to suggest the possible line of my business plan, we have studied the past records of progression of solar projects. Then we have analyzed the present situation. We have tried to find out the progresses and problems of producing energy in our country. Also, we have worked on, how we can contribute through my plan. For this regard, both primary and secondary information have been used to accomplish the research part and presented with as less abstraction as could have possible. Besides traditional use of solar energy attempt was also made for scientific use during different period of history. Man knew there are immense potentialities in this subject and according to his knowledge in that particular time he tried to develop systems to utilize solar energy for greater use. ‘Sunbeam’ aims to strengthen its position as a leader in the areas of renewable energy and envisions benefiting, around 8 to 10 kore people of Bangladesh, from its solar power. Improved cook stoves and organic fertilizer programs in order to accomplish the millennium Development goals by 2025. Solar system is a better electronic system. In preset world electricity is produced by different ways. And its raw materials are too costly. But solar system is such kind of system which is cheaper than other electronic system. For example a 30WP system plants cost is 18000 BDT. Which is too much cheap than other electronic system, for producing solar system, we need only sun light which we get from nature not only this. We will use it maximum 20 years after establishing solar panel. It is also free from environment pollution. No load shedding and no monthly bill are one of the facilities in this project. Its cost is also cheaper than fuel, dine etc. It is clear all of us that there is a crisis of energy all through out Bangladesh. But, northern parts of our country are suffering the most. So, we want to establish our first project in Badarganj at Rangpur, central part of North Bengal. The first phase of our plan is to cover as much as of North Bengal as we can, Then we will spread our project. WE need many types of staff in our organization. Like – Engineers, technician Programmer (CSE), MBA graduate. Almost 100 staff we need. 4th class staff like also appointed this amount is almost 50. Depend on qualification and also taking interview we appointed all staffs. Some engineers and CSE we also recruit from abroad. 4th class staff we taking from local area and also trained them. iv) Sources of raw materials. Panels are the main part of this project. Because sun shining on solar. Panel produces direct current electricity or DC. our system is designed for 130 wt panel. It means per panel capacity is 130 wt. For our project we need 36,500 panels. Preserver is another most important device. It reserves the power what we want to for emergency save with the help of experts we will establish our reserves. It will be maintained by engineers. Transformer is essential for supplying electricity to each area. It will again covert electrify from AC to DC. Because DC current is stand and for household appliances. For power zone 259200 sq. ft area is allotted. In this Zone we will set up our panels and towers. We will establish our reserves room and converter room here. Power Zone will be restricted for civilians. We will be producing 4.745 MW per hour by using 36500 panels. 25,500 panels will produce 3.315 MW electricity per hour which we with supply. And the rest 11,000 panel will produce 1.43 MW electricity per our which we will reserve for band weather & any emergency. For our office use we will get electricity from our reserve energy. A consumer will be facilitated in different wax like we will ensure there will be no load – shedding except major breakdown. We will provide energy saving lights and other equipments. If there is any problem in home electricity service, our technician will solve it. We will provide electricity in cheap rate. The AC currant converted in the corrector will be supplied to people through cables; every area will have a point with a transformer which wills again covert Ac current to DC. We are dealing with electricity in our business plan. But it’s a great matter of sorrow that this electricity sector of Bangladesh is not in a good position that’s why we need to upgrade our production of electricity. The present condition of Bangladesh is like that. The rural people suffer most due to lack of access to clean, efficient and affordable energy. More than 80% of the rural people are forced to depend on cow dung, poultry wastes, crop residues etc which not only provide very low energy, but also pose environment & health threats. Bangladesh can be called an energy starved country. Per capital energy consumption is only 16.67 litters one of the lowest in the world. About 40% of the people have access to grid electricity most of them living in the urban areas. The need of the movement is to find an energy source that would serve the needs of rural people, help them to develop economically without further damage to the environment. We will hire electrical engineers, computer engineers, programmers, technicians for managing our power systems. Also we will need officers for managing our business & 4th class labor for other maintenance. For producing 130 wt we need 38,300 Tk. including all costs it will be 38, 500 Tk. approximately. At other Raw materials which are essential for our project in available in Bangladesh. Japan is the main suppliers for panels. We will import panels by ways. We will receive it in Chittagong port, than we will fetch them to our plant by we will collect other Raw materials in a convenient way. * Bangladesh needs to invest US$ 18 billion in there sectors to make the generation and distribution sufficient for consumption of the people & Industrial units. 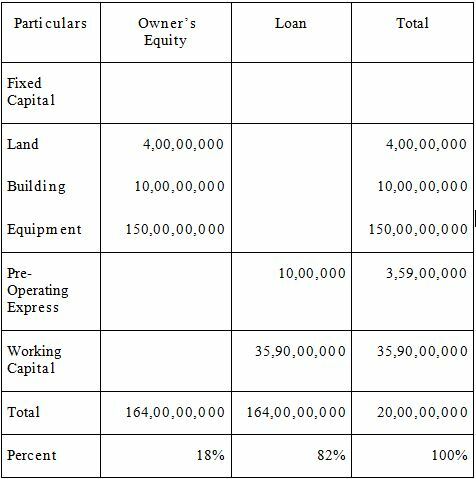 Where, the immediate past government invested Tk. 175.0 billion in the power sector but could not produce one single MW of electricity during its tenure. * Government appointed some private companies to cope up energy lacking. But they are almost failing to do any progress. Now, we have only one way to cope with the country’s growing demand for power. However, there is a need for exploring more gas from new reserves and searching for alternative sources of energy for ensuring the country’s long term electricity security. Also. Independent power pants should be encouraged to generate electricity without any disruptions. In this situation, an alternative self sufficient power plant is the smartest solution. Here a solar energy system will be the perfect solution to the energy needs. The rural areas and the load-shedding suffering areas will be highly benefited if we can execute our solar plant. As the power crisis was gripping the country, a good. Now, can we depend on our present situation how our energy sector is controlled? No, we can’t followed by high systems loss and poor management power supply situation is continuing to deteriorate. Now, please come with to analyses our power world. & 40% of our people have access to grid electricity and 3% of our people have gas salvation. So, 57% people deprived of power. * PDB confesses that the demand of electricity is increasing at least 10% yearly. * According to the government the peak demand now is over 5,200 MW and according to the government’s power system. Master plan, it is close to 5900 MW. But our country’s total power generation is varying between 3300 MW and 3400 MW. * For the present, the country’s power generation units are producing at least 200 MW less electricity per day than their capacity due to inadequate supply of natural gas. * At present, Bangladesh needs 7.8 BCF (Billion Cubic feet) gas to produce electricity. But we are getting 6.8 BCF. Our first consumers will be the people of Badargonj area as well as the people of Rangpur. Then our plan is to expand our network and to provide electricity to all over the North Bengal. * At first we will make an agreement with our govt. to segment our distribution channels. The areas we will provide electricity will not enter in that zones. In this way we will help our govt. to reduce power lacings of energy for ensuring the country’s long-term electricity security. Also, independent power plant should be encouraged to generate electricity without any disruptions. In this situation, an alternative self-sufficient power plant is the smartest solution. Here a solar energy system will be the perfect solution to the energy needs. The rural areas and the load-shedding suffering areas will be highly benefited if we can execute our solar plant. As the power crisis was gripping the country, a good step is thought of the make a break through to minimize the power crisis. And, our solar plant is incredibly responsible to the environment resulting in no. by –products and thereby no normal emission. 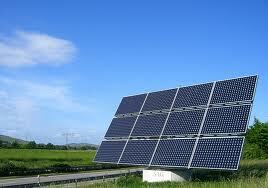 Solar energy can give us unlimited environment friendly sustainable energy. In this regard our country is suitable for establishing solar project. 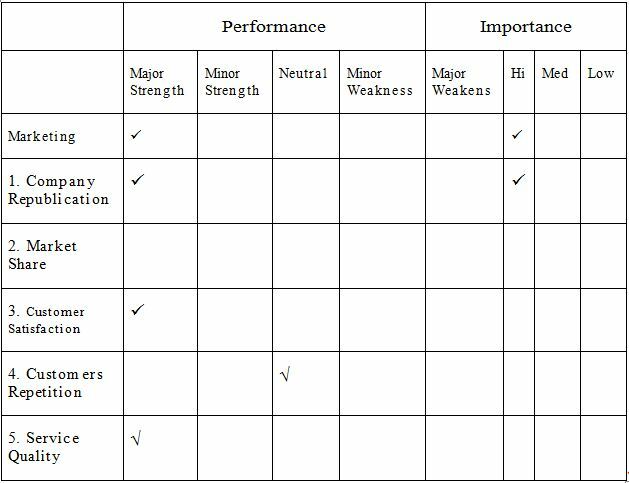 The SWOT analysis system mainly used for finds out the over focuses to the direct and indirect area and all other sector of an organization. Here, by all position and also using strengths we can find aggressive advantage in meeting the need of its target markets and weaknesses refer to any limitations that a firm faces in marketing strategy development and execution. Opportunity is mainly positive conditions in any environment that could produce a Great profit for the organization if it works properly and threats are mainly the negative side or barrier that may prevent the firm from reaching its objectives. Still now we don’t have any competitors as sun power plant is the only company which will deal with solar Energy Moreover we will be in assistance of government and PDB, So actually we won’t face any abstanckley or problems. The prime theme of our business is to provide electricity to remote villages and in the industrial areas where electricity supply is short reducing our electricity problems. That’s why first we will supply electrically to some portion of our country is. We have made this regimentation mainly for the remote villagers who are sufferance for not having any and to the industrial areas which electricity supply. With the help of our project they will be able to lead a smoother life. ii) Sufferers of load- shedding areas of North Bengal. We can advertise our product through newspaper. It will draw attention of general people. Our business is service oriented; first, we will produce electricity in a solar plant and will supply it to different places. We can publish leaf – let to serve the general people which will provide them knowledge about the main theme of our project. Using bill- board and hoarding can be a helpfully method for advertising our product. It can make delicate progress. This kind of advertisement is generally conducted by the consumers of our product. General people who are receiving our services or products can advertise our project just telling about it to others. It can gain maximum response from public. 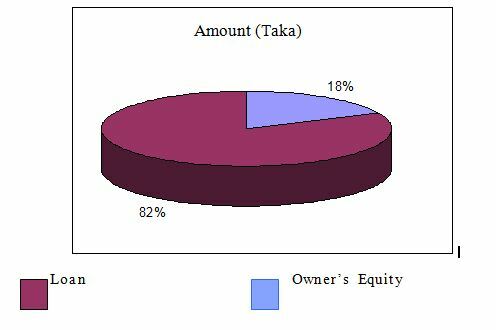 “Sun power” company plans to contribute taka 164,00,00,000 covering the cost of the land, building and Equipment cost, A loan with be required for the rest of the project cost. In our project, service cost is the main problem. Bangladesh is a developing country, so here cost is a great factor. 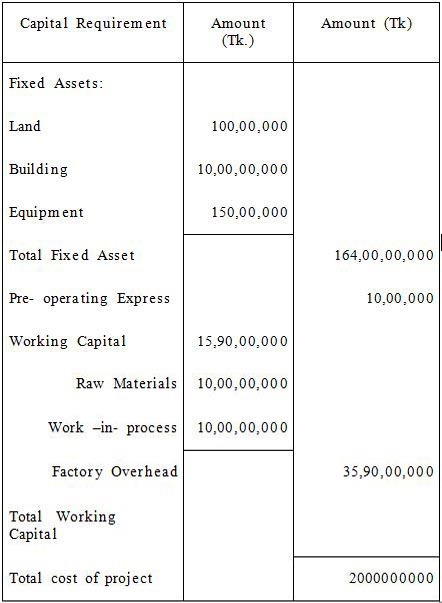 It we produce 10 MB of then the production cost will be 4960000 Tk. If I panel’s cost is 12900 Tk. then according to the present situation it may be costly for our people. Different types of natural calamities can create different type of problems. Autocracy problem means different types of political problems. Political collaboration can hinder our service of power supply. Unfairness of labors demand and high wage, variation of cost etc. In near future nuclear power plant is the main alternative of this project. It can be one of our main competitors. So, we will have to over come it by our competence. iii) Science Museum, Agargaon, Dhaka. The daily star, the daily observer.